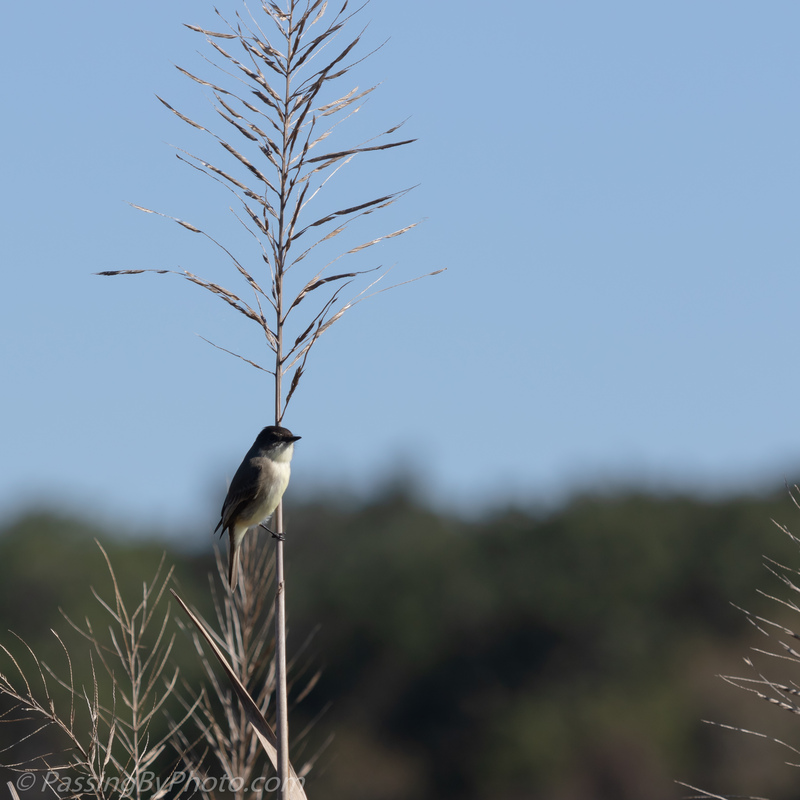 An Eastern Phoebe flew up from the brush around the marsh edge and paused on this reed stalk. 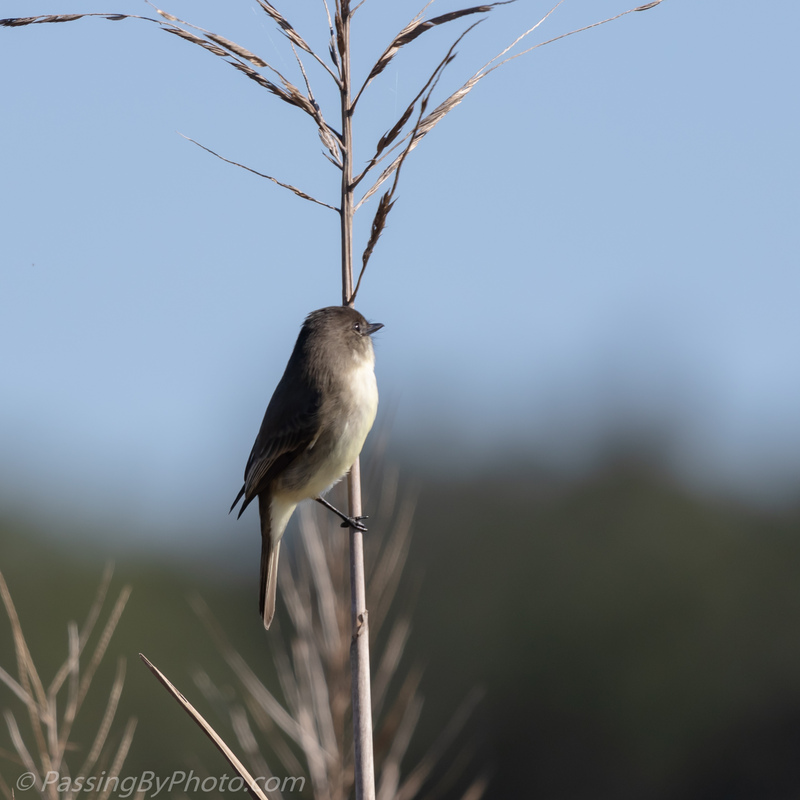 I tried re-positioning myself to capture the bird with a sky background, but it was not to be as the Phoebe had other plans. Your first photo has a very soft light and the Phoebe sits under a beautiful umbrella. I love this shot very much Ellen. Thanks, Greta! I like your thought of looking at it like an umbrella.